A land dispute in the Kushinagar district of East UP turned ugly when a Muslim family attacked their Hindu neighbours with rods and sticks, grievously injuring the Hindu father & son. When the daughter intervened, she too was assaulted and acid was thrown on her, reports Hindi daily Jagran. The incident occurred last Wednesday in village Bandhu Chapra. Chandrika (55) and Shah Alam (50) were fighting over a piece of land for quite some time. Around 9 AM, Chandrika and his son Rajkumar (26) were cleaning the area around their house. Shah Alam opposed this and an argument broke out. 4 members from Alam’s family arrived with rods and sticks and launched a lethal attack on the father-son duo. 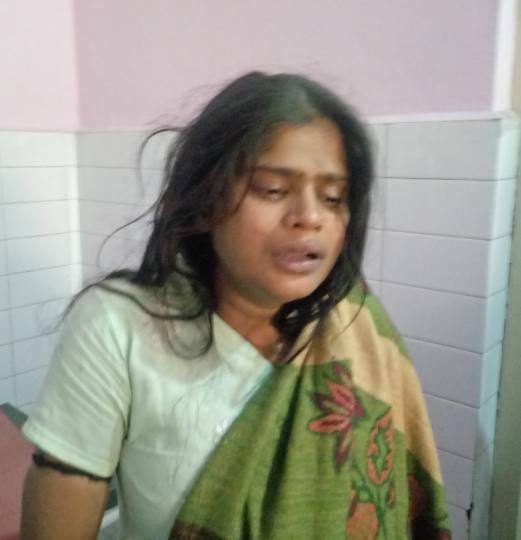 Hearing the commotion, Chandfrika’s daughter Anju (20) rushed out to save her family, when she too was thrashed and acid was allegedly thrown on her. Villagers rushed all 3 to CHC (Community Health Centre). The father and son were referred to district hospital due to serious nature of their injuries. Station House officer Anuj Kumar Singh said that based on Anju’s complaint, a case has been lodged against Shah Alam, Rizwan, Aslam, Anwar and one other. Authorities have ordered further investigation in the case. Kushinagar district has 82% Hindu and 17% Muslim population as per Census 2011.